Norm Reeves Lincoln is a modern, full-service Lincoln dealership committed to providing excellent automotive sales and service to communities around Cerritos, Long Beach, and Anaheim. We have a wide inventory of the latest Lincoln models, plus an expansive selection of pre-owned vehicles. Our goal is to match you with a luxury vehicle that has the design, amenities, and technology features you love, and we won't be happy until you're completely satisfied with the Lincoln you drive away in. At Norm Reeves Lincoln in Cerritos, we're dedicated to treating everyone who visits our modern, state-of-the-art showroom with the utmost respect and care. 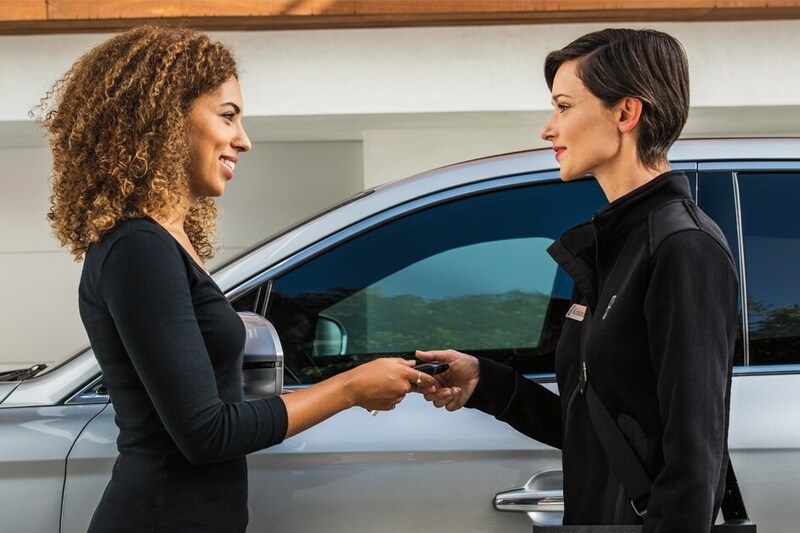 You can expect friendly, knowledgeable service from our team of Lincoln automotive sales, finance, and service experts, who share many years of combined experience satisfying our customers' driving needs. Norm Reeves Lincoln believes in a customer-first approach to automotive sales and service. Whether you're considering a new Lincoln Navigator, Lincoln MKZ, or Lincoln Continental, our team at Norm Reeves Lincoln is here to ensure you have a pleasant, productive experience at our dealership. From the moment you walk through our doors until you drive off our lot, our mission is to match you with a Lincoln you feel confident about. You can even browse our inventory online before visiting our dealership to get specific stats on each vehicle's powertrain, technology, and more, helping you find a vehicle equipped with the exact features you want. We know purchasing a new Lincoln is a major commitment, so we provide a variety of resources to help you choose one best suited to your tastes, including Lincoln vehicle reviews and side-by-side competitor comparisons. These automotive research tools are an excellent starting point for learning about the vehicles in Lincoln's latest lineup. Each provide a comprehensive overview of Lincoln's hottest models, and we encourage you to read them before visiting a dealership to test drive a Lincoln. Every Lincoln requires preventative maintenance and care to ensure it runs like new. Luckily, Norm Reeves Lincoln has a state-of-the-art Lincoln service center on site, complete with a team of highly trained automotive technicians. The service department at Norm Reeves Lincoln is happy to assist you with oil changes, engine tune-ups, post-accident repairs, and more. Whether you need a multi-point inspection or new set of tires, Norm Reeves Lincoln is here to ensure your vehicle receives the maintenance and upkeep it needs. After you've found a Lincoln from our inventory, Norm Reeves Lincoln's professional finance department is here to help you apply for financing. We also provide a variety of leasing options if you're not fully prepared to purchase a Lincoln outright. When you sit down with the Norm Reeves Lincoln financing experts, we'll create a financing package specifically tailored to your monthly budget and long-term financial goals. You can also use our online credit application to apply for a Lincoln auto loan from the comfort of your own home. Norm Reeves Lincoln strives to make the financing process as straightforward as possible, and our consultants are committed to securing favorable terms and conditions on an auto loan you're confident about. Norm Reeves Lincoln proudly serves communities surrounding Anaheim, Long Beach, and Cerritos. Our Lincoln dealership in Cerritos is committed to achieving 100% customer satisfaction, and our team of sales professionals are here to match you with your ideal luxury car. Thank you again for considering Norm Reeves Lincoln. If you have any questions, don't hesitate to visit our showroom or reach out to us online.